Discover why Christchurch in New Zealand ranked #75 in our countdown of ‘100 Most Incredible Cities in the World’. New Zealand’s Garden City is the gateway to the South Island but has been marred by recent earthquakes. Following the devastation of the 2010 and 2011 earthquakes, the city has re-emerged strong and vibrant with the arrival of funky transitional art and culture projects. 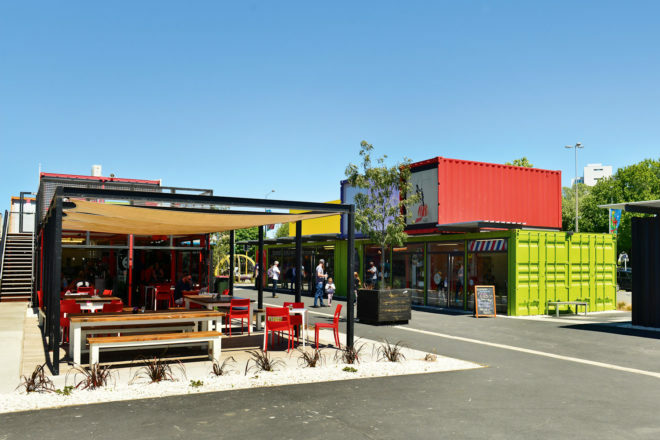 There’s Re:START, a shopping precinct which is a collection of shipping containers that are home to a variety of speciality retailers and boutiques; an open-air dance floor with speakers and disco ball; oversized armchairs; and the transitional ‘cardboard’ cathedral. Visitors can still enjoy the tranquillity of the Botanic Gardens or take a guided bike tour to explore the varying landscapes of the city. The dining scene has also seen a rapid transformation. Thai lovers should visit Chinwag to try their delicious caramelised pork hock. Finish your day with a visit to The Institution, a cosy craft beer and cocktail bar on New Regent Street.